This collection of essays will explore the relationships between the 1960s-1970s countercultural movement and environmentalism, including reclamation art, earth architecture, Mother Earth News, the natural foods cooperative movement, and the Hoedads reforestation cooperative. 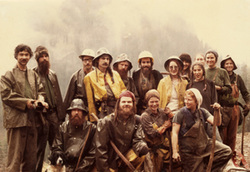 The Hoedads were a tree-planting workers' cooperative based in Eugene, Oregon, that for two decades, helped reforest clear-cut lands in Oregon and much of the American West, worked to curtail the use of pesticide spraying in the forests, and provided an alternative economic model that challenged capitalism. My research focuses on their countercultural approach to environmental activism, gender issues, and the participation of women. 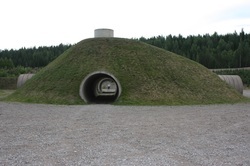 Earth artists such as Robert Smithson, Michael Heizer, Nancy Holt, and Robert Morris developed reclamation art to reclaim mining and quarry sites, generally while directing the viewers' attention toward extractive industries, rather than hiding them. My research focuses on the environmental issues at the intersection of art and reclamation.